Blend of simplicity and style! 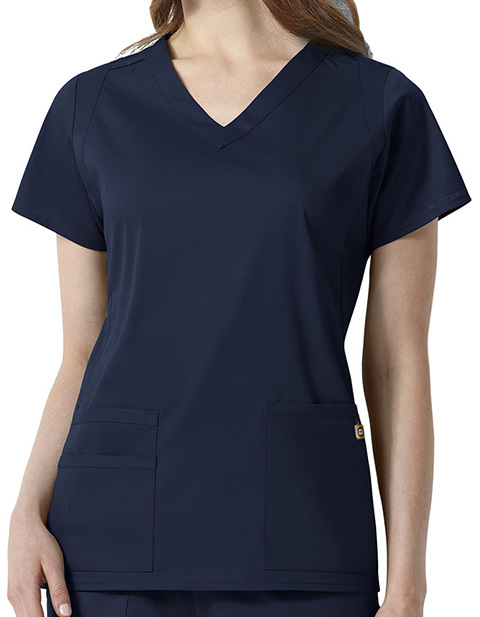 The women's V-neck scrub top with two front pockets, one double and one single pocket with concealed three loop scissors holder ensures efficient storage for your essentials. It also features WonderWink embroidery on left sleeve and metal charm on front pocket for added details. 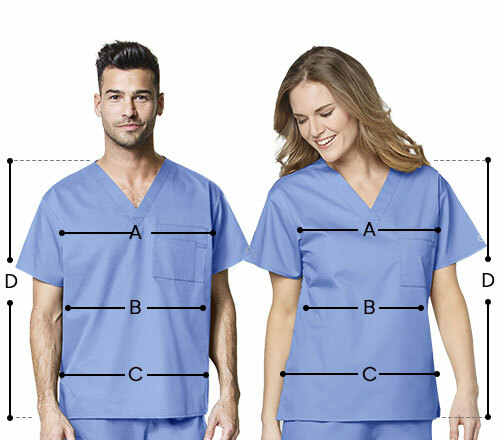 Moreover, princess seams for a tailored fitting and vents on back hem complete the look.